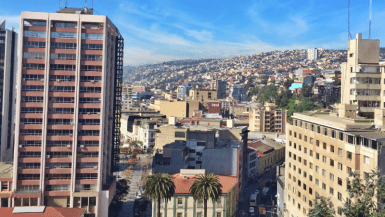 While still not quite as popular as the Patagonia region way in the south of Chile, other southern Chilean cities like Pucón, Valdivia and Puerto Varas and the island of Chiloe, are becoming more and more known to travelers around the world. 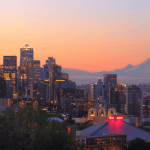 These desirable destinations are pretty remote and may not be the easiest to get to, but they’re definitely worth the effort. With picturesque lakes, snow-capped volcanos and wild untouched forests, there’s no shortage of natural beauty to be captured and enjoyed in the south of Chile. I recently backpacked and bused down to Patagonia from Santiago and was fortunate to discover many of Chile’s rustic gems along the way. 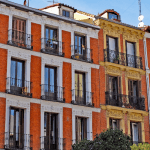 When it comes to backpacking and a style of traveling when you’re constantly on the move, where you decide to stay can really make or break your experience. Awesome accommodation makes all the difference. 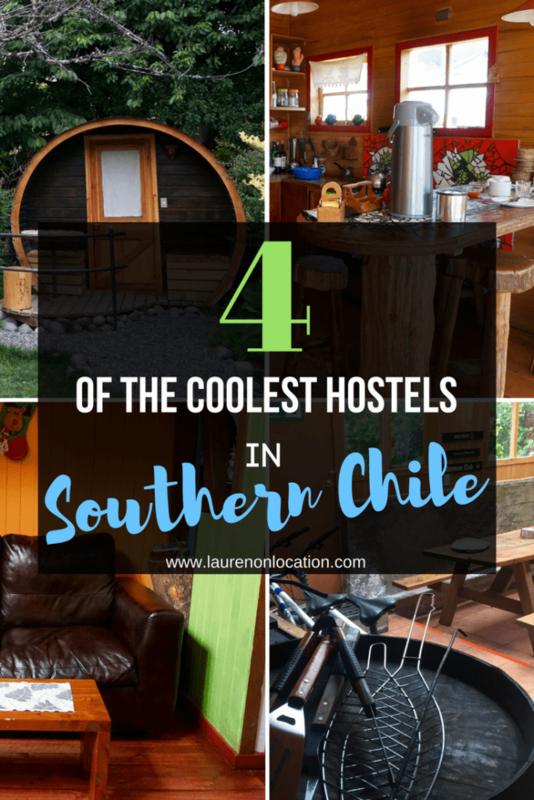 I’ve stayed in all types of awesome hostels and hotels all over the world, but these four from my Southern Chile backpacking trip are definitely worth an honorable mention! Chili Kiwi Hostel in Pucón is by far one of the coolest and most unique hostels I’ve ever stayed in. Right when we entered the Kiwi compound, I knew this place was special. 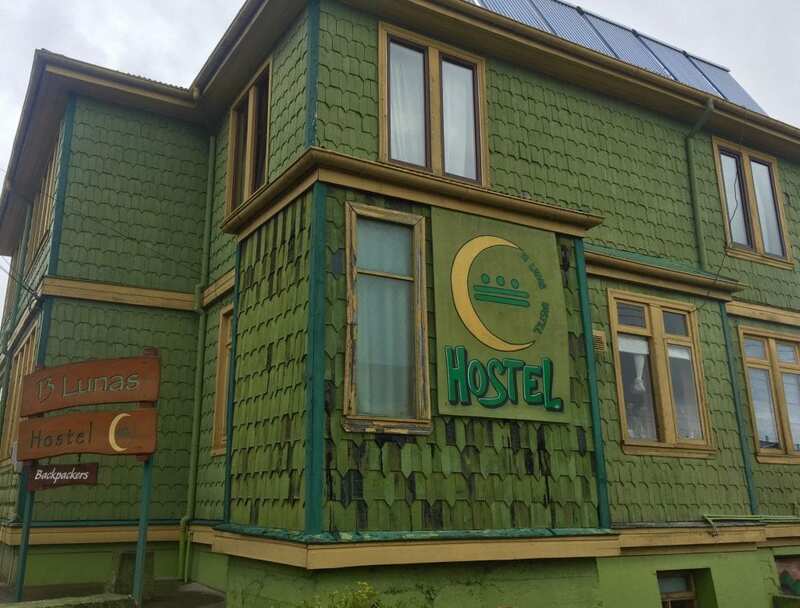 It’s owned by a New Zealand “kiwi,” [hence the hostel’s name and rustic appeal] and run by other backpackers who fell in love with Pucón and decided to stay a while. Chili Kiwi over looks Pucón’s picturesque harbor and on a clear day has awesome views of Volcán Villarica! After check-in you’ll immediately be offered a tour of the entire premises including the hostel bar and outdoor tree-house style seating areas. 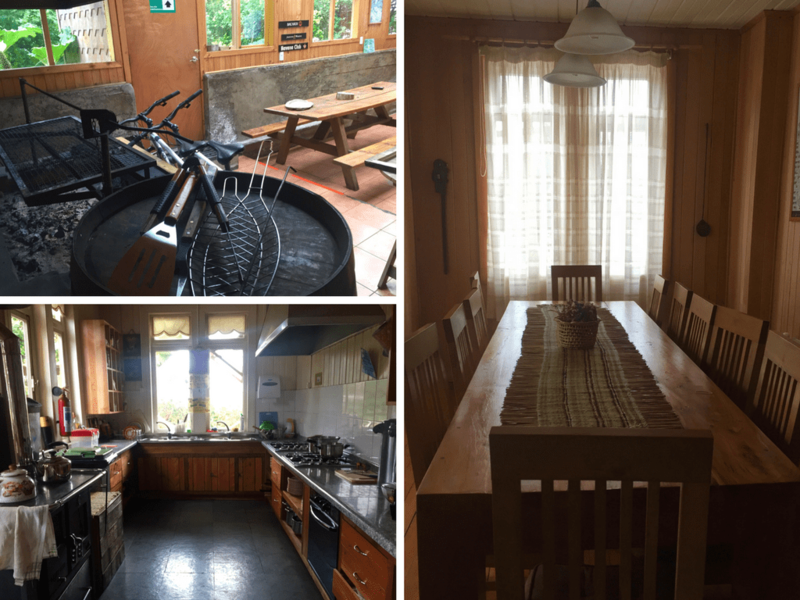 Every morning there is a welcome meeting, run by the cheery hostel staff, explaining the many different activities and tours available around Pucón and they even have in-house tours services! My 4-person dorm was inside one of the outer back cabins, complete with ensuite bathroom and our own beautiful wooden kitchen stocked with complimentary basics like coffee, tea, oils and spices! 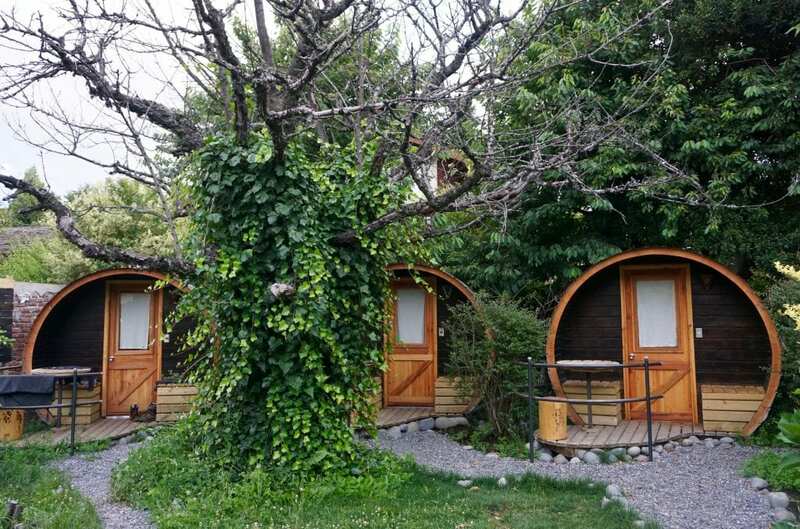 Absolutely amazing and unique private rooms including Hobbit Huts, Tree Houses and even a Glamper Van! Dorms from $18. Privates from $44 per room. Book your stay here. *Be sure to book ahead! This place is seriously popular! 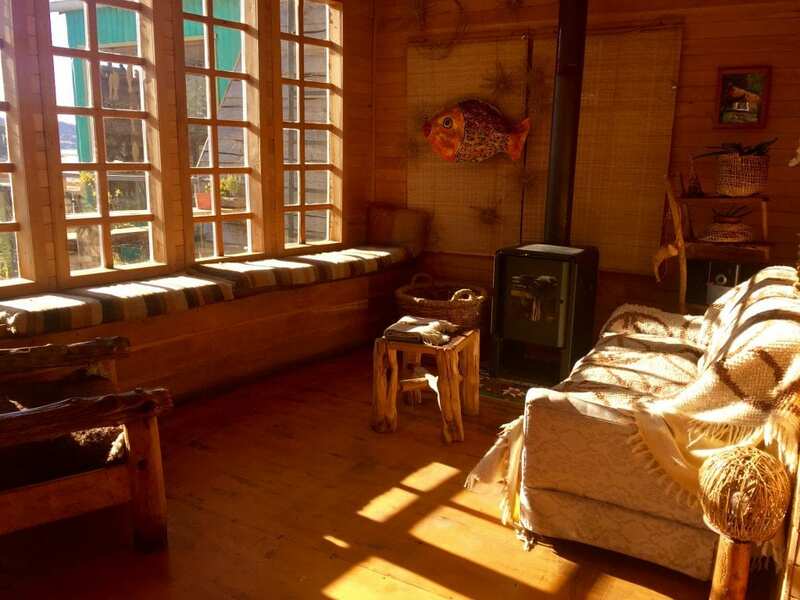 Casa Maragouya is a quirky, no frills hostel located on the second floor of an old wooden house in the middle of Puerto Varas. Just two blocks from the lake and close walking distance to grocery stores, cafés, restaurants and bars, you really couldn’t ask for a more central location. Its small and simple design matches the tone of the cozy little town and it’s a great place to meet other backpackers. 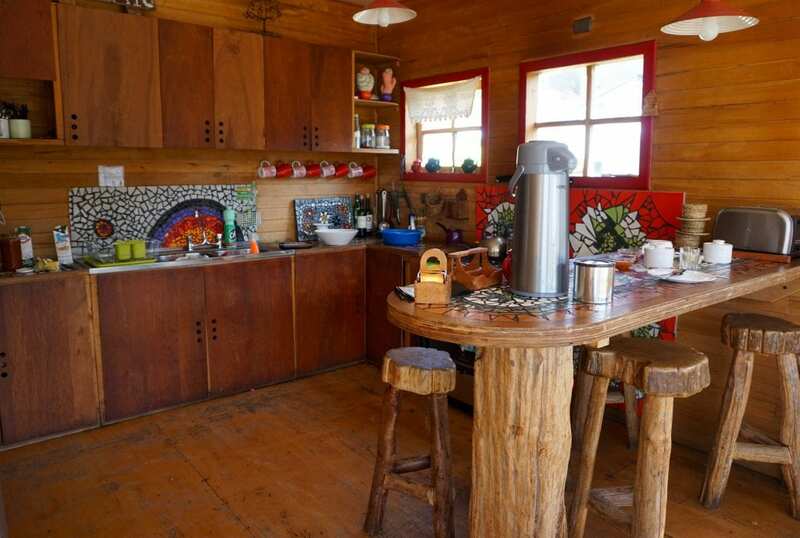 Casa Margouya is quiet and super laid-back, making it a great place to kick-back and relax in the midst of Southern Chile’s many outdoor activities. Or hey, if you’re looking for more adventure, you can conveniently book many tours right at their front desk! Palafito Hostel is located in one of Castro’s classic palafito, or stilt, houses and makes for the ultimate Chilota experience. The Gamboa Palafito neighborhood is full of history and one of the few surviving palafito districts after the 1960’s earthquake and tsunami. 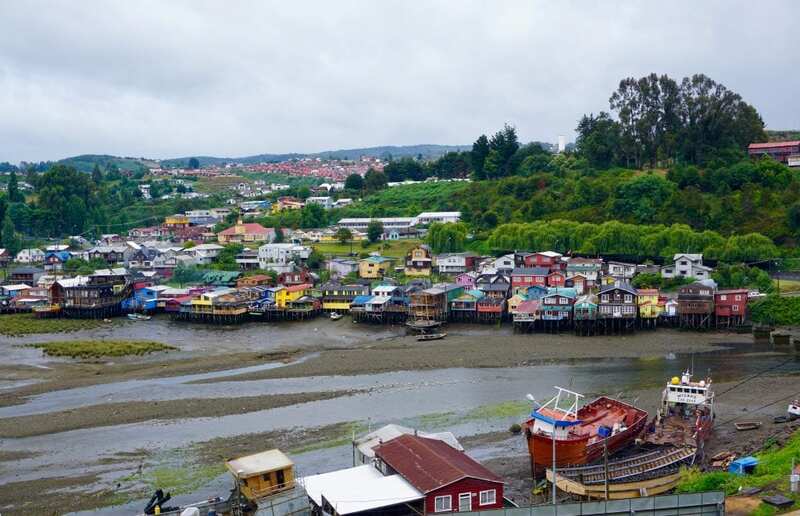 These traditional wooden homes are characteristic of Chiloe island, reflecting the identity of its residents and their deep connection to both land and sea. 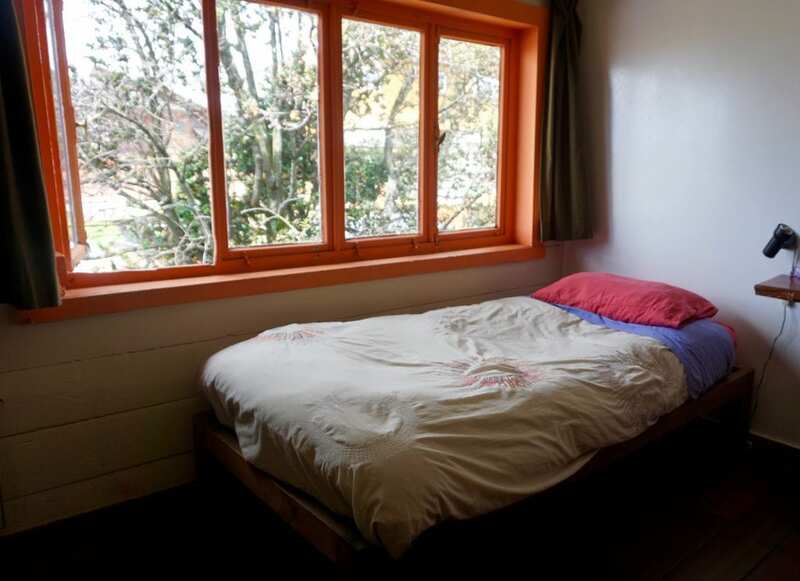 Each morning at Palafito Hostel you’ll awake to the sweet smell of freshly baked bread and stumble out of your room to find natural light filtering through the large framed windows. When visiting this little sleepy island, running into rain at some point is pretty much a guarantee. Luckily, Palafito Hostel provides the perfect escape with its charming homey interior, scenic waterfront views, warm wood fires and yummy homemade treats. You can cozy up on the couch in the common area, mug in hand, and calmly watch the storm blow on by. Complimentary breakfast every morning with fruit, eggs, yogurt, granola and homemade bread and jams! Best breakfast I’ve had at a hostel in Chile thus far! Dorms from $20. Privates from $40 per room. Book your stay here. If 13 Lunas Hostel was in a high school superlatives contest, it would 100% win “most all around.” Seriously, this place has got it all. It’s centrally located, clean, comfortable, social and has all the amenities your little heart could desire. 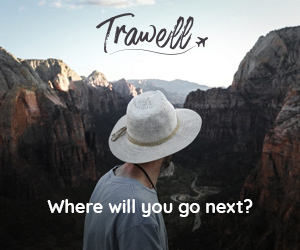 With several large open seating areas, a basement grill/ beer pong zone, outdoor hammocks and lots of activities planned daily, you’re sure to meet other travelers, if that’s what you’re looking for. More of the strong silent type? At 13 Lunas the “party area” is two floors down from the upstairs dorms, making for a well thought-out and needed separation for those just wanting a good night’s sleep. Owners Claudio and Francisco are super cool, always down to hang and available for all questions, concerns and recommendations to help you enjoy your stay. 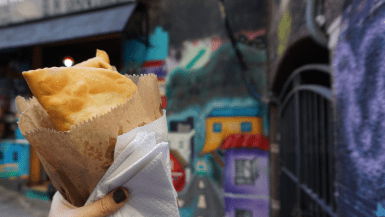 They’ve even prepared a little list of their “favorites” around town to help you enjoy Ancud just like a local! Dorms from $18. Privates from $43 per room. Book your stay here. 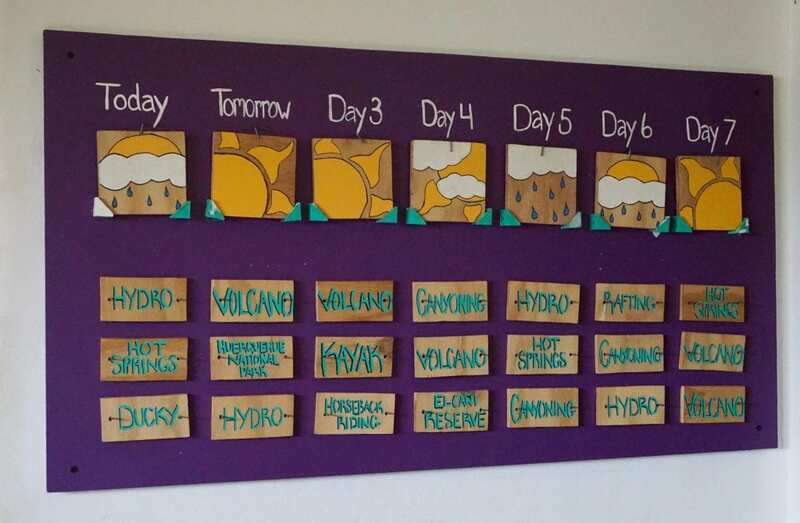 Which of these hostels would you like to stay in? What makes accommodation noteworthy for you? I’d love to hear from you in the comments below! Disclaimer: Some of my stays at the above hostels were comped for purposes of this post. Still, as always all opinions expressed are my own. I would only recommend something that I genuinely felt Lauren on Location readers would enjoy! This week I’m highlighting A Delicious Guide to Coffee & Cake in Vienna by California Globetrotter! I’m currently on a “cleansing diet” after 2 months of eating crap and traveling, but I’m pretty sure this post would have had be drooling anyway! If you haven’t already, be sure to go check out post and spread the love! Thanks for linking up with us Lorelei! ? It was an awesome place to stay for sure :D! Aw thanks for the shout out! Glad you enjoyed the post! 🙂 Happy to link up! They all look like the perfect nature retreat! I have so much family in the south of Chile that I would probably not need this, but perhaps here and there! Especially places like Chiloe! 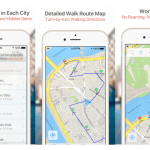 I totally agree with you that where you’re spending the night can make or break your trip. In my opinion getting a good night’s sleep is just as important as the food that you’re eating on a trip. It sounds like you found some real gems during your trip, but I think that Chili Kiwi looks like extra fun! They houses looks so cute! 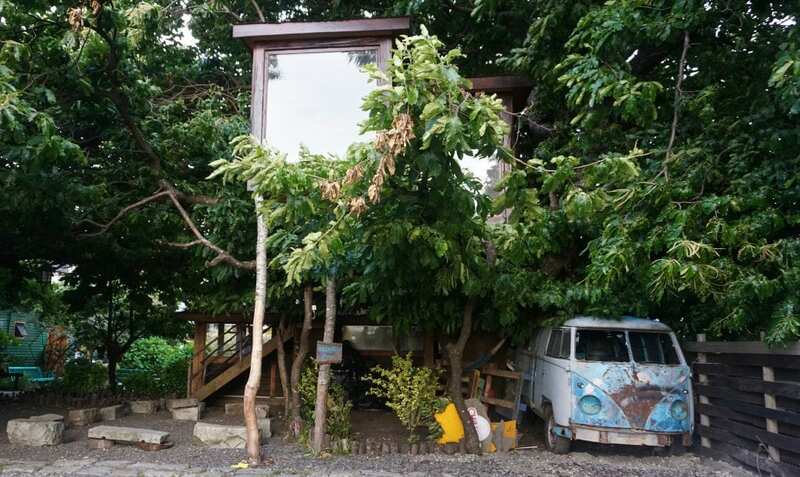 The Chile Kiwi Hostel is my fave from your list. 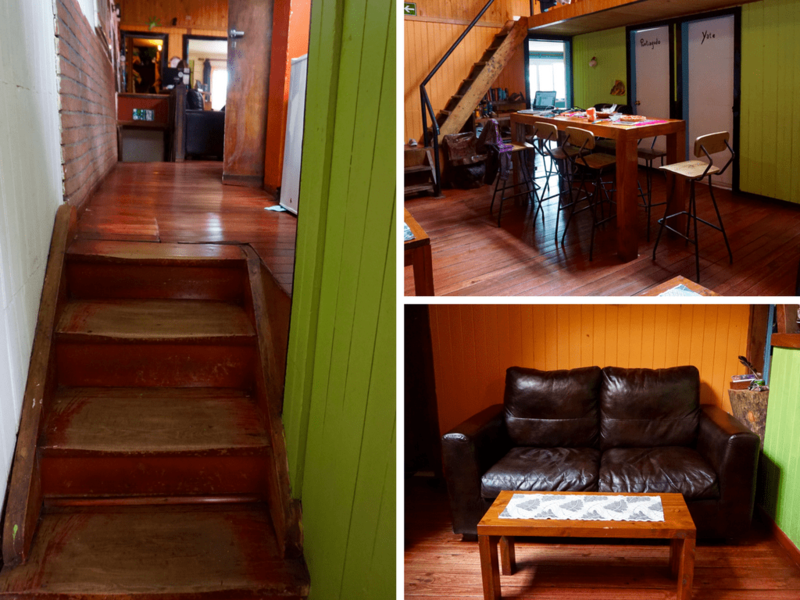 I’ve never stayed at a hostel before but if I ever visit Chile, the Kiwi Hostel would definitely be my go to. The Chilli Kiwi looks awesome! Those outdoor cabins seem really cute and that you get your own ensuite is gold in the hostel world! What a wonderful collection of places to stay, Lauren. I’m sure this will be very helpful to anyone traveling through Chilie and looking for nice accommodations that aren’t too expensive. Chili Kiwi looks very cool! I’d love to stay there if I’m ever visiting that part of the world. Love the sounds of Chili Kiwi, but are the huts in the picture the ones for 4 people?! Also love the rustic furniture of Palafitos hostel! Haha that makes more sense, would have been a bit of a squeeze! 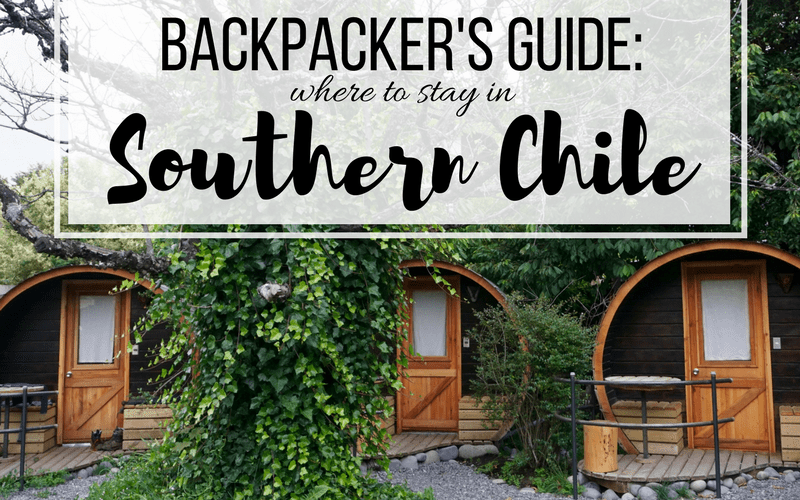 All four sound lovely but I would love to stay at Chili Kiwi!